Burgess Heating & Air has been serving the Tampa Bay area with trustworthy and dependable service since 1989. Through our hard work, we have earned a reputation for delivering top-quality installations, providing the highest level of service, products and guarantees. Through our customers, we have become highly respected in our community and strive to maintain our reputation as an industry leader. We're ready to assist you with all your central heating, cooling and indoor air quality needs. Our business is based around one key principle: a commitment to performance...Level 10. You will find Level 10 woven into everything that we do: our people, our products and our performance. It is a commitment to exceeding your expectations. It is this elite Level 10 designation that has differentiated us from other HVAC companies. We understand that our customers are the key to success and they deserve nothing less a Level 10 experience. So what can you expect as a Burgess customer? Knowing a company is only as good as its people; we facilitate an environment of respect and teamwork. We staff only trained and certified technicians and installation specialists ready to serve you. The Trane Corporation has recognized Burgess as a center for excellence in all aspects of our business. 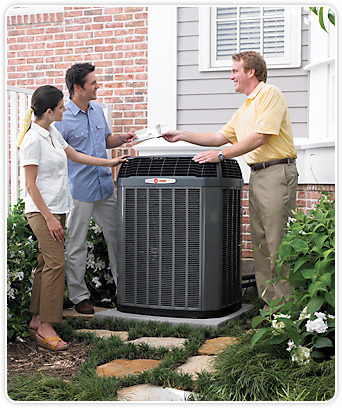 Not all dealers qualify as an independent "Trane Comfort Specialist Company". Quality and value from a locally owned and operated company!